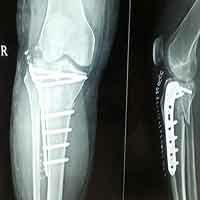 Dr. Mehul H. Desai is a Best Doctor For sports Injuries in Ahmedabad and Sports Injuries Doctor in Ahmedabad, Trauma Sports Injuries. 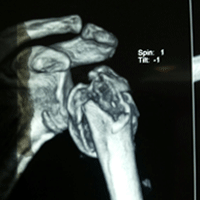 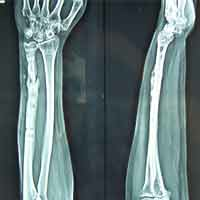 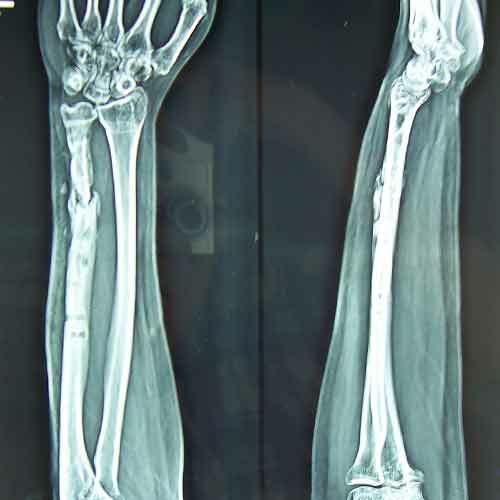 A patient, aged 46 years following vehicular accident came with swollen painful wrist & hand. 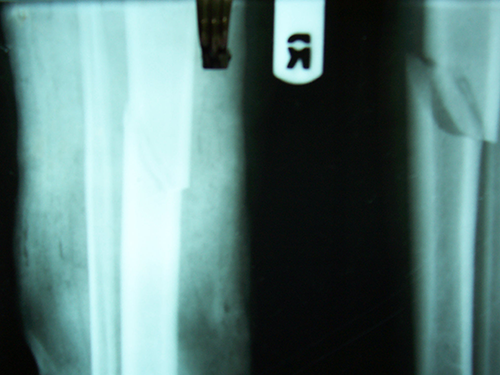 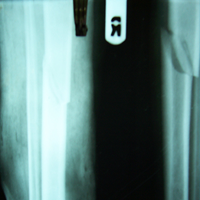 He had been diagnosed to have closed comminuted fracture lower end of right Radius. 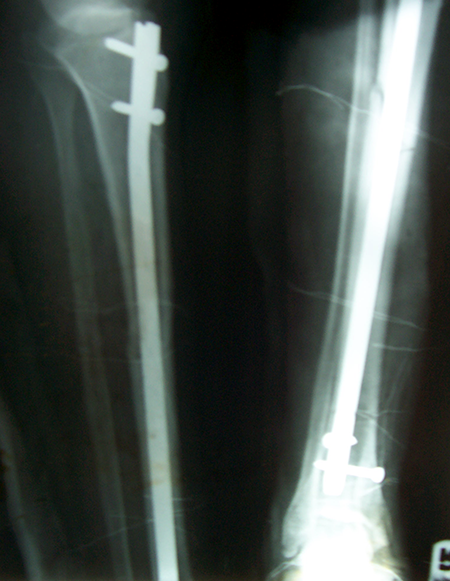 He was treated operatively with closed reduction & ‘K’ wiring under regional Anaesthesia. 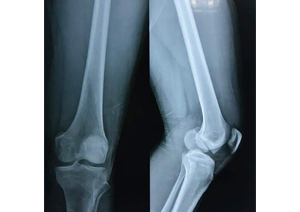 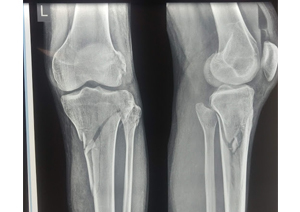 Patient, aged 40 years male following vehicular accident sustained depressed fracture Intra-Articular upper end of right Tibia. 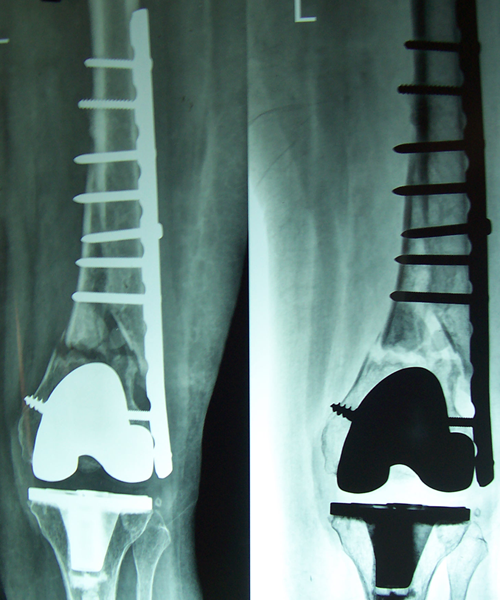 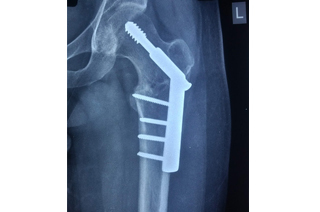 Aspiration of right knee done and above knee slab was given for stabilisation. 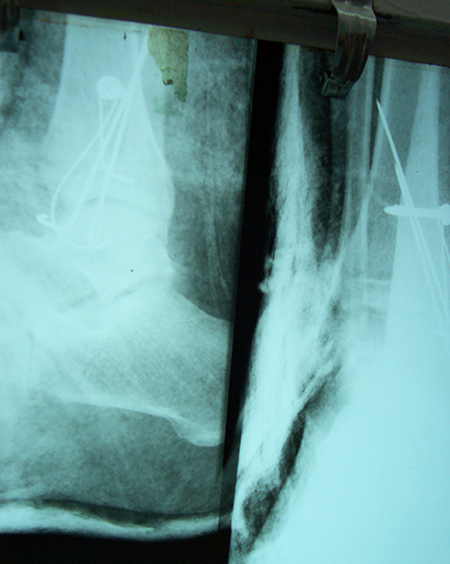 Operated next day with open reduction + elevation of depressed fragment with Edelend’s Technique & fixation with lateral locking plate fixation. 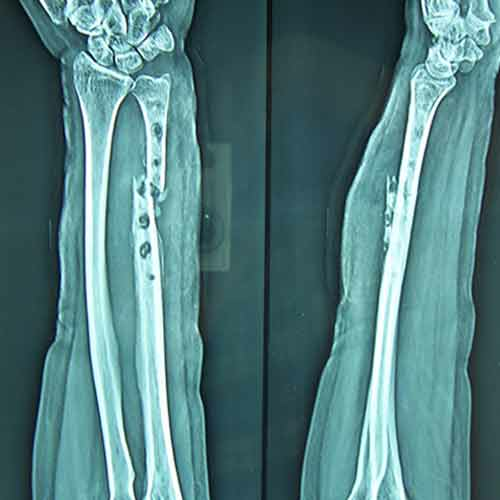 Patient, aged 75 years during morning walk tripped & had a fall following which he sustained injury to the left forearm. 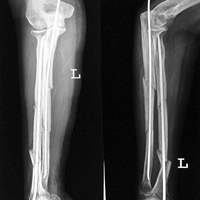 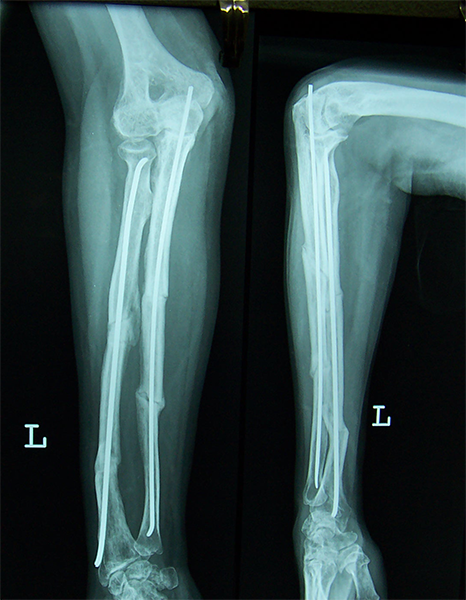 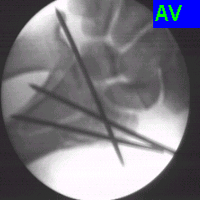 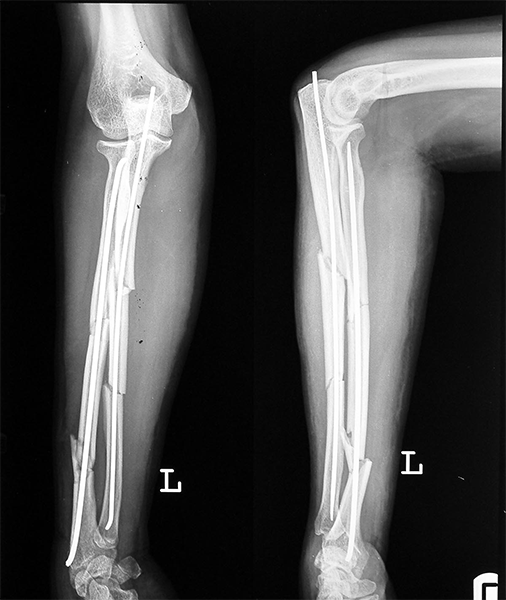 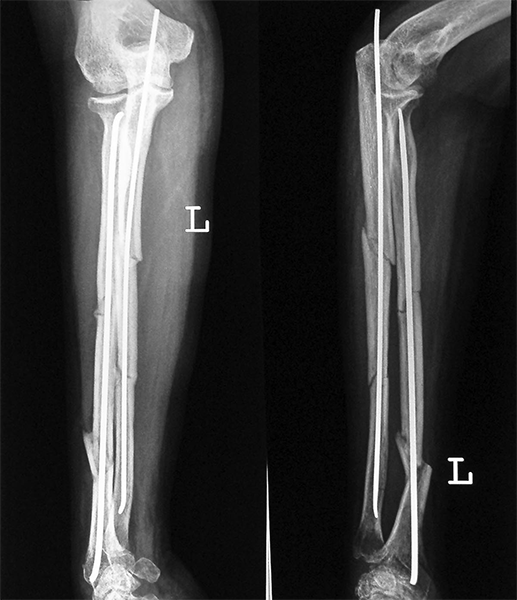 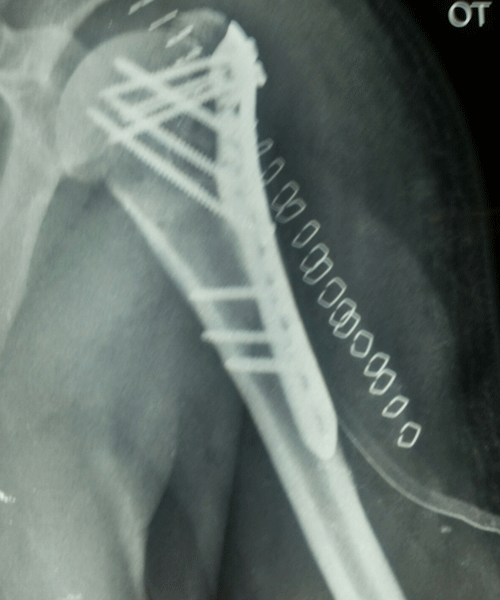 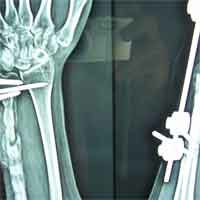 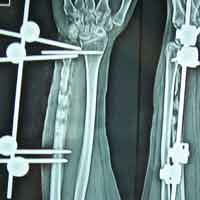 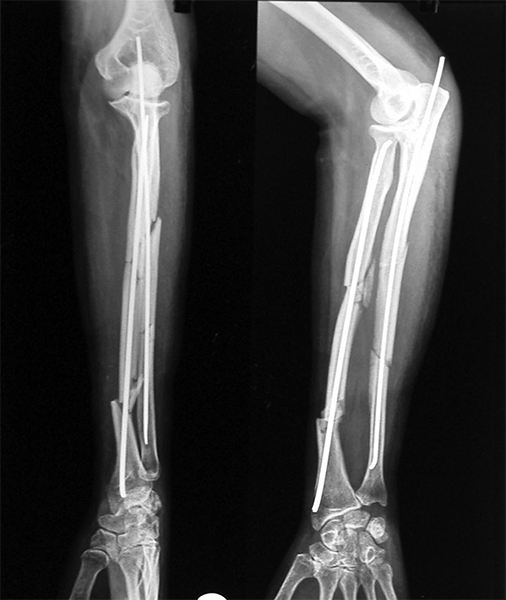 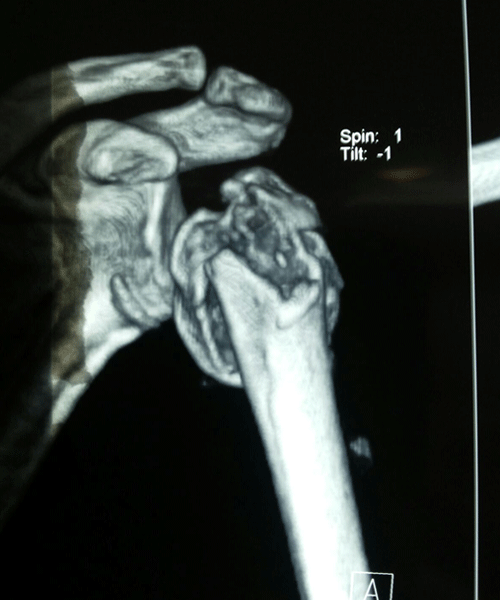 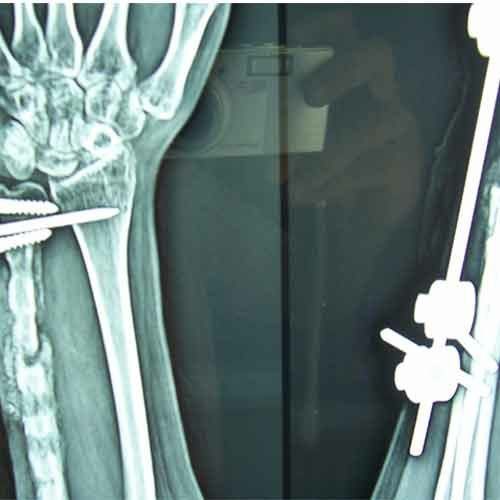 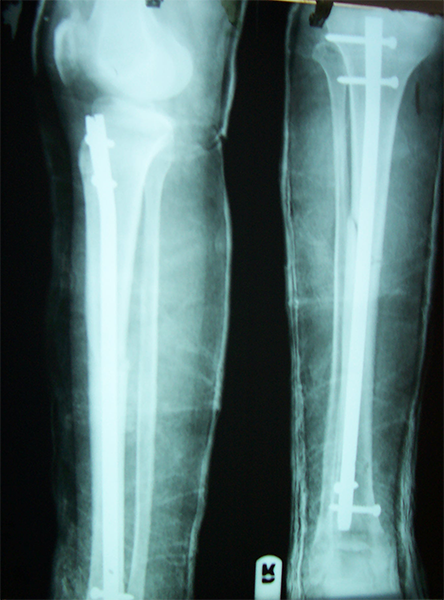 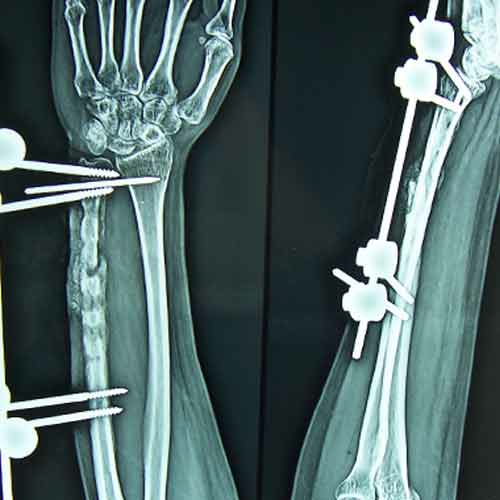 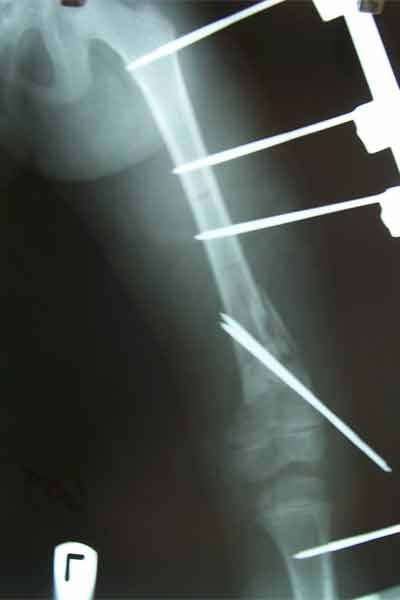 Closed reduction & interval fixation with Intra-medullary TEN nails was done in radius & ulna. 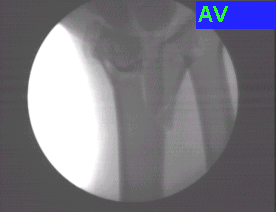 Now he has full supination & pronation function of forearm. 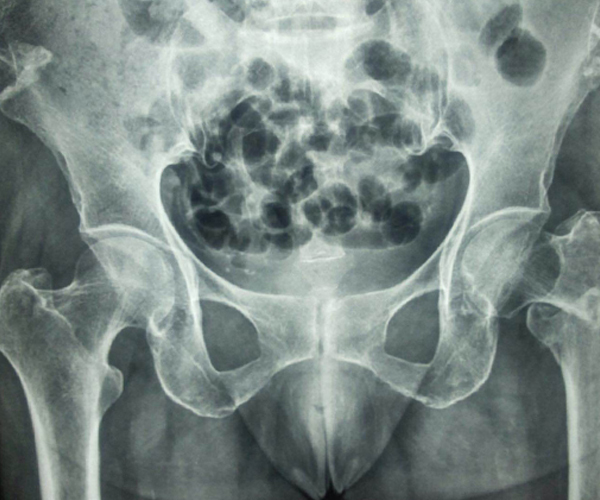 Alcoholic Gardener by profession had slipped in bathroom & fell. 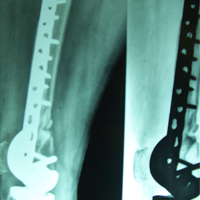 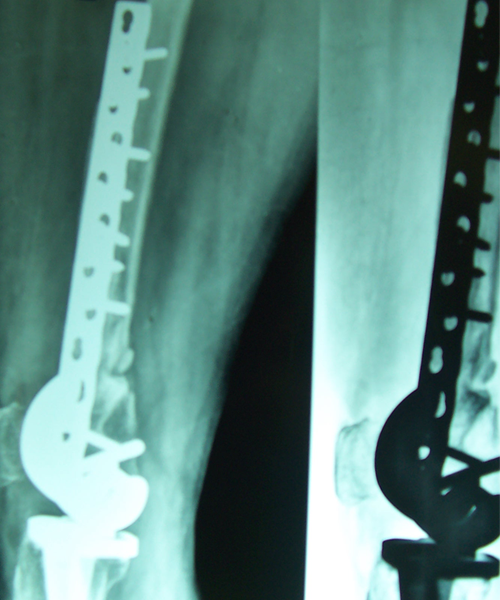 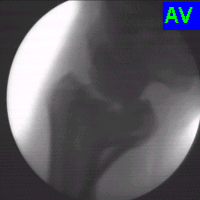 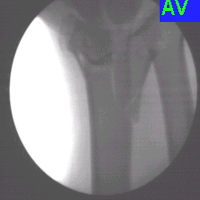 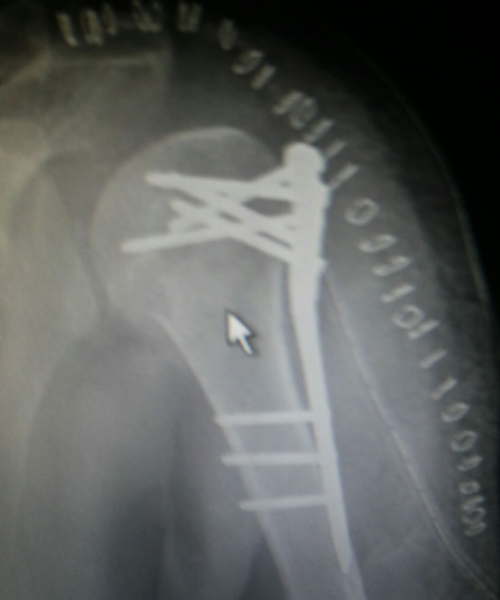 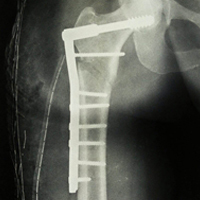 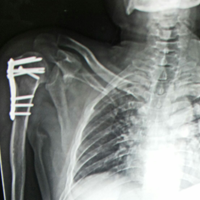 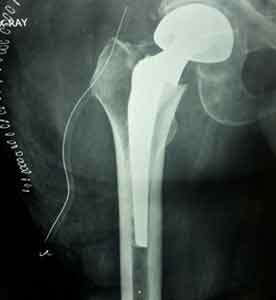 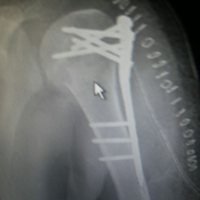 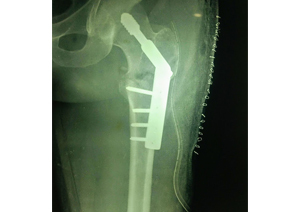 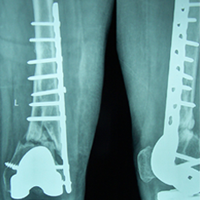 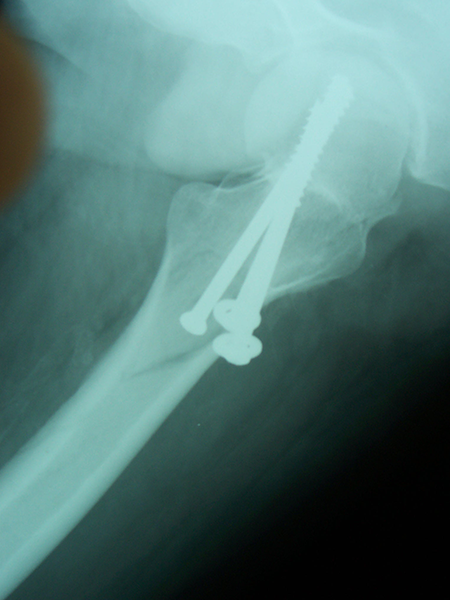 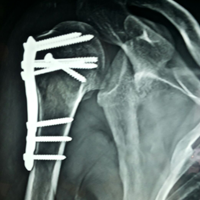 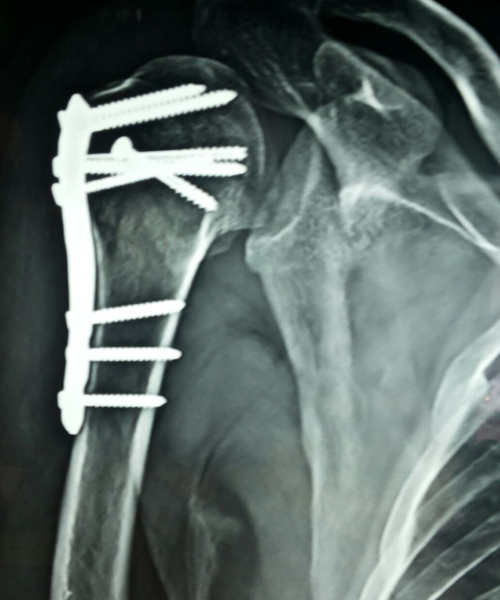 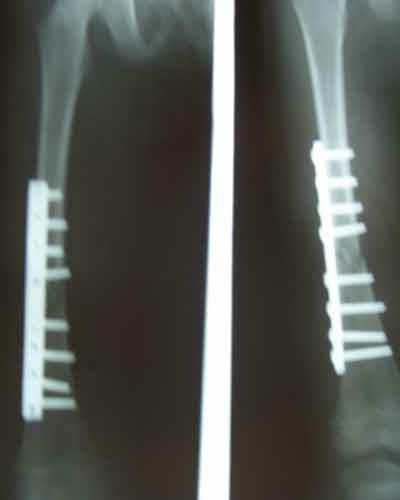 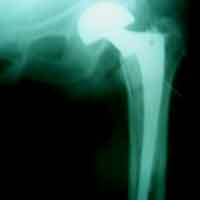 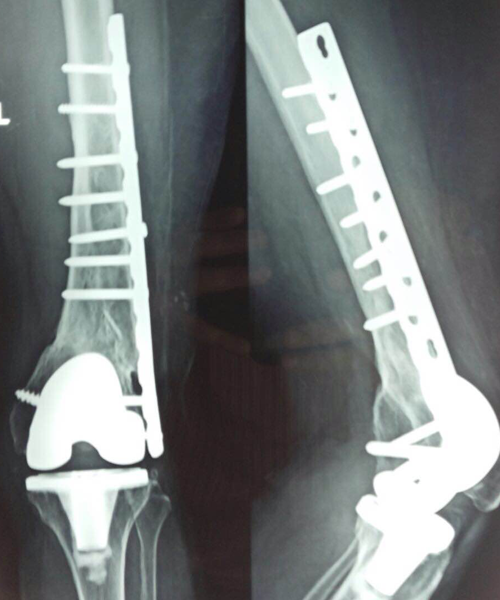 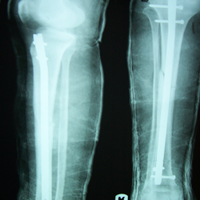 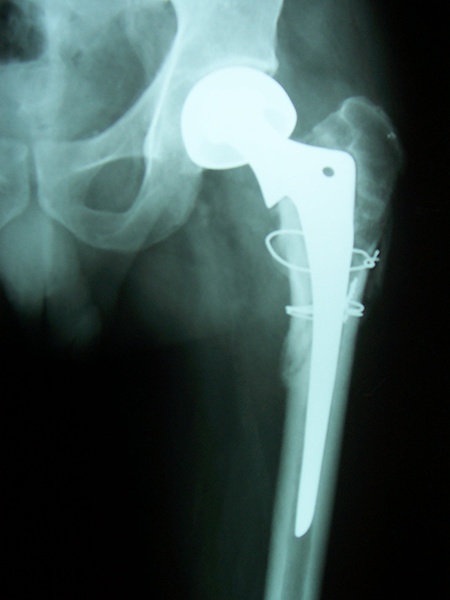 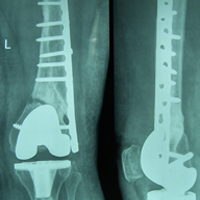 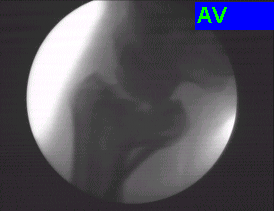 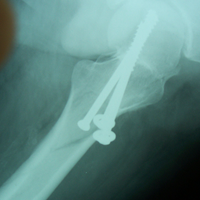 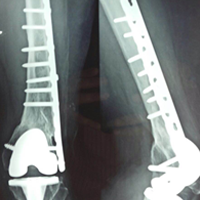 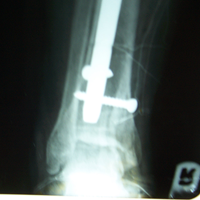 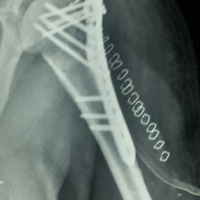 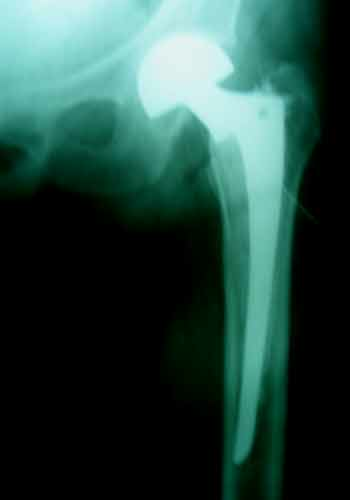 He sustained fracture neck femur.He was operated with closed reduction & CC Screw fixation under IITV. 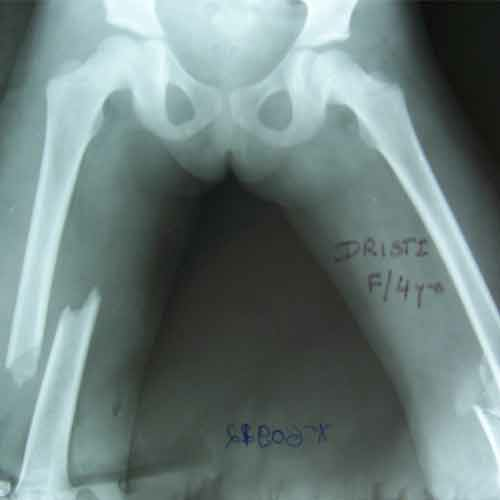 Two weeks’ post fixation he again fell & sustained fracture in sub trochanteric region. 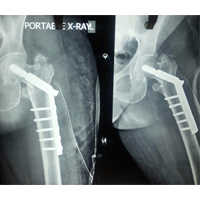 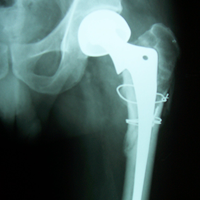 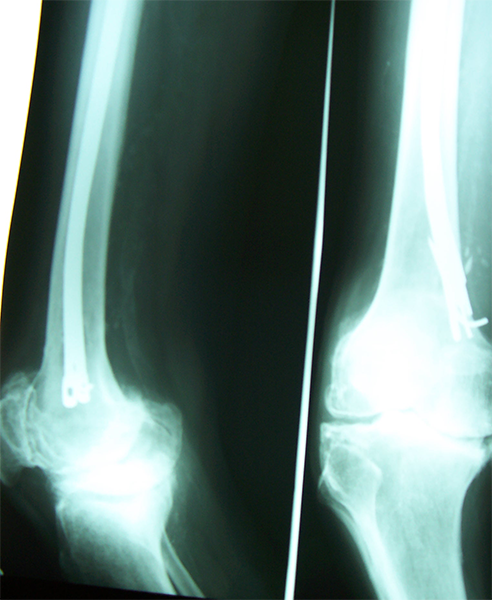 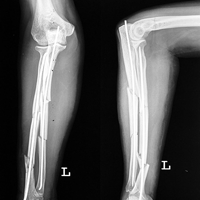 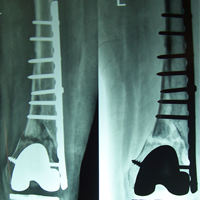 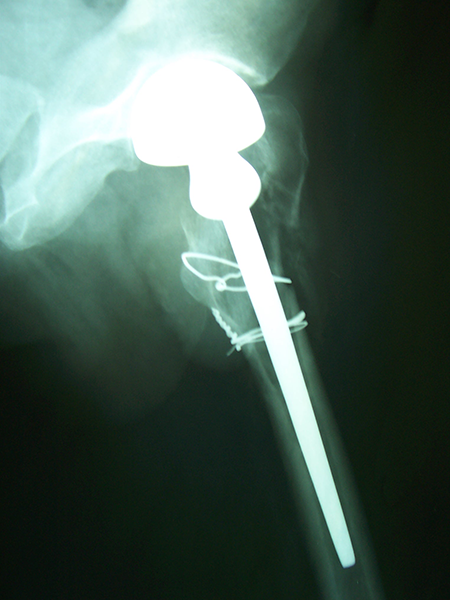 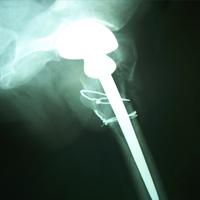 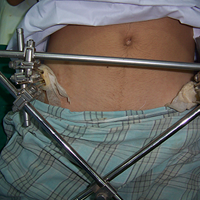 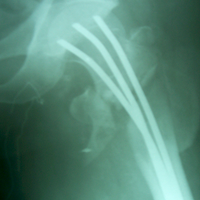 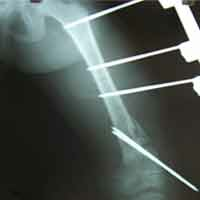 He was treated with Hem-Arthroplasty with Tension band wiring. 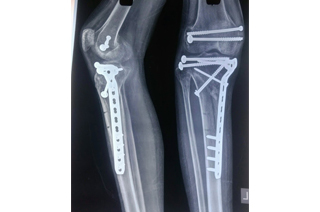 Patient having closed segmented fracture midshaft & lower 1/3 Tibia with closed fracture superior & inferior pubic rami right side with pelvis fracture following vehicular accident wastreated with intramedullary nail for fracture tibia and external fixator for fracture pelvis. 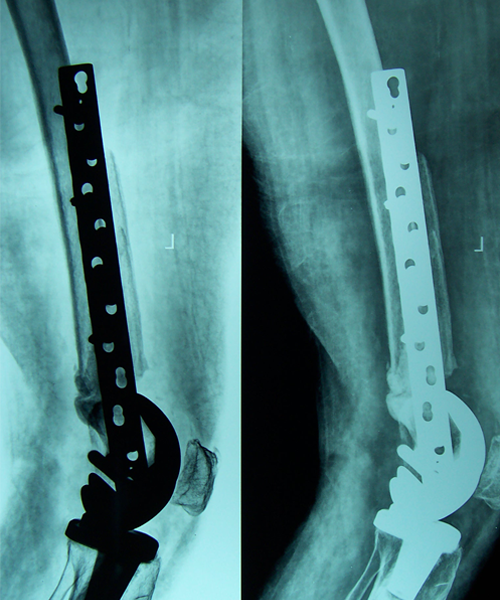 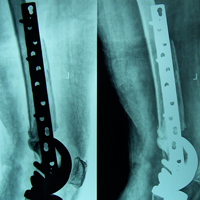 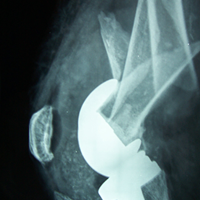 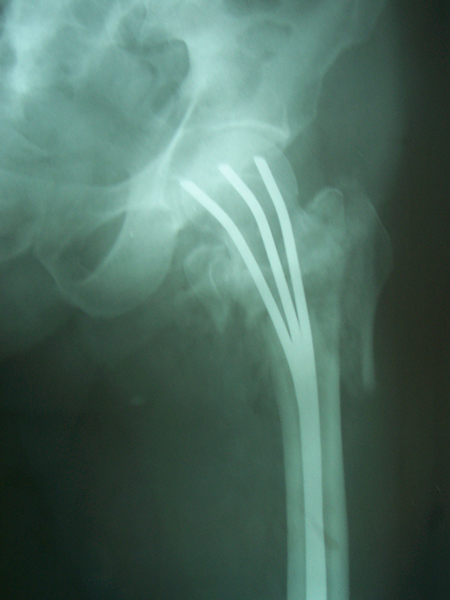 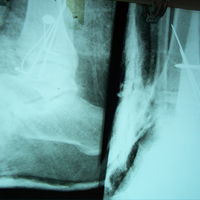 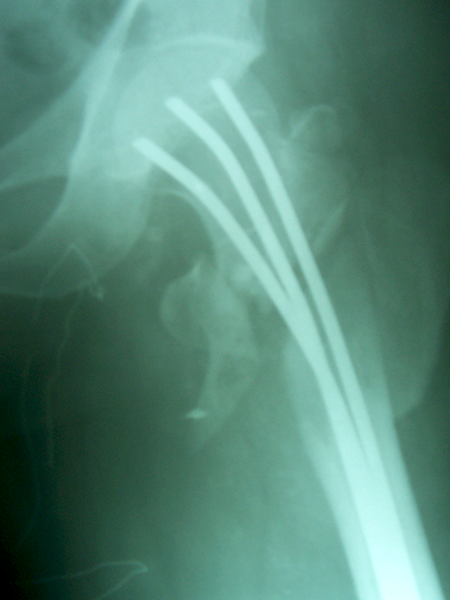 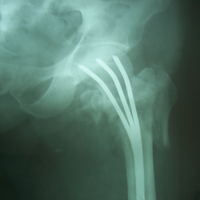 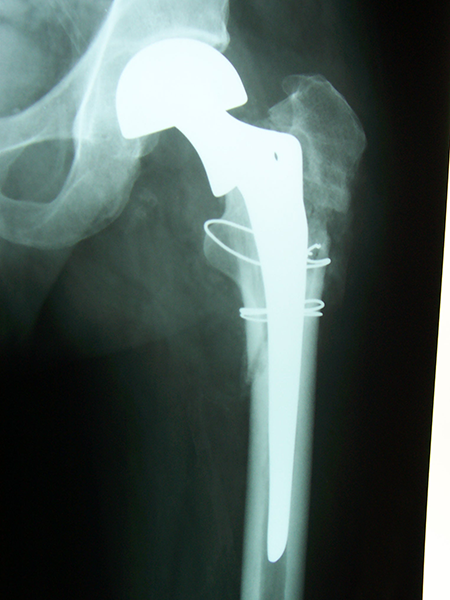 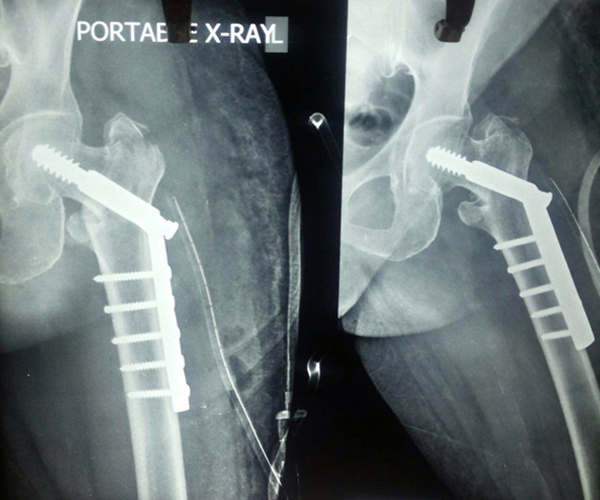 Patient aged 75 years with Comminuted Intertrochanteric fracture treated with closed reduction & Ender’s nailing. 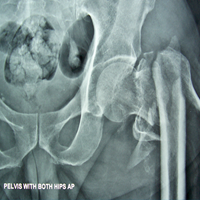 Seconderies from CA Prostate in 65 years old male patient treated with cemented bipolar prosthesis. 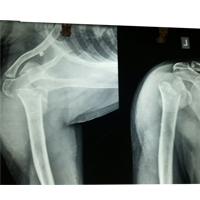 80 years old female patient treated with bipolar prosthesis. 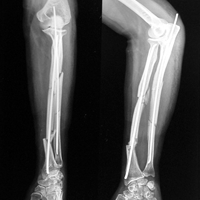 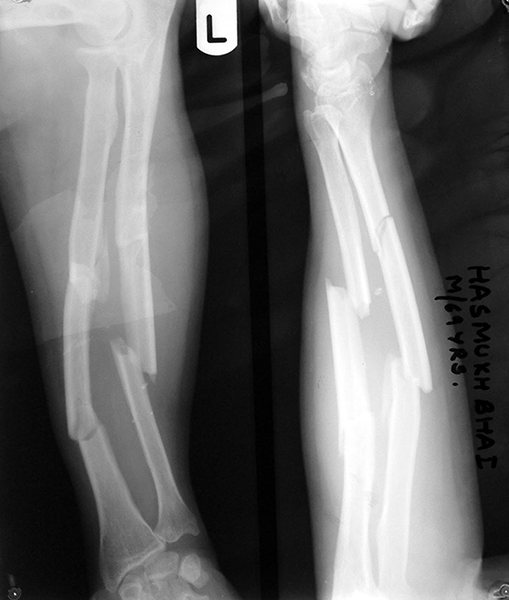 7 Years old female with bilateral fracture shaft femur middle third, lower third junction treated with plating on right side & external fixation & ‘K’ wiring on left side. 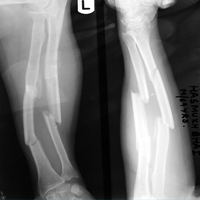 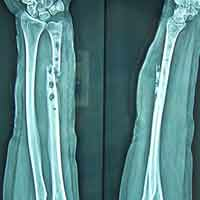 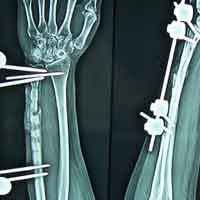 31 years old patient with fracture radius-ulna (1-year-old) with infected non-union was treated with implant removal & external fixation. 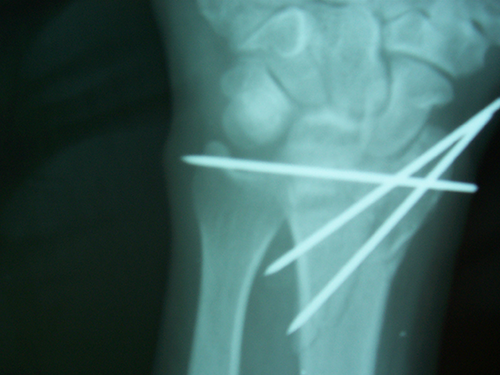 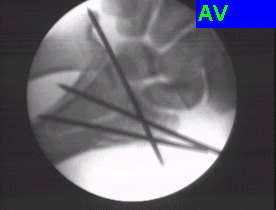 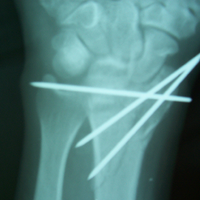 ‘K’ wiring was done for distal radio-ulna joint stabilization. 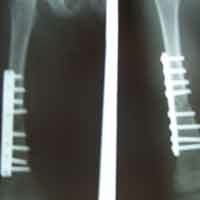 Bone grafting was done after 3 weeks. 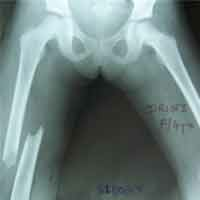 Fracture united 6 months’ post-operative. 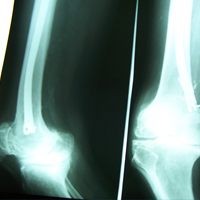 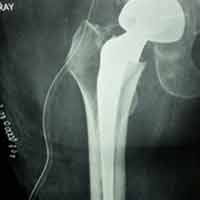 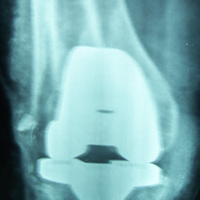 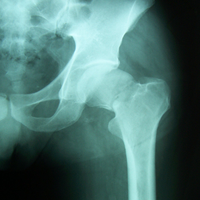 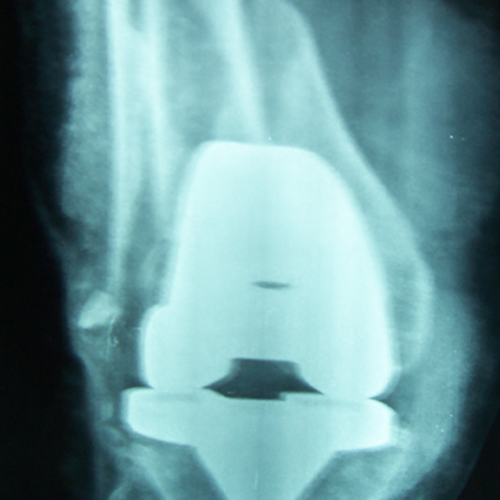 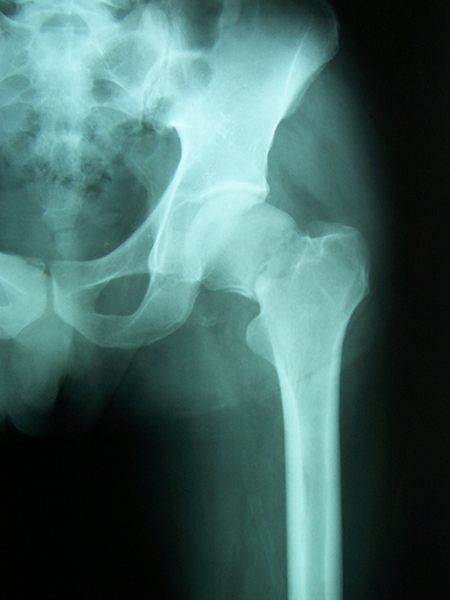 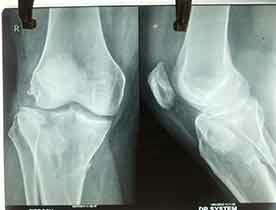 60 years old patient with total knee replacement on left knee presented with open grade 1 injury. 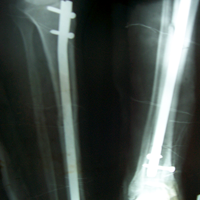 Debridement & slab given on emergency bases. 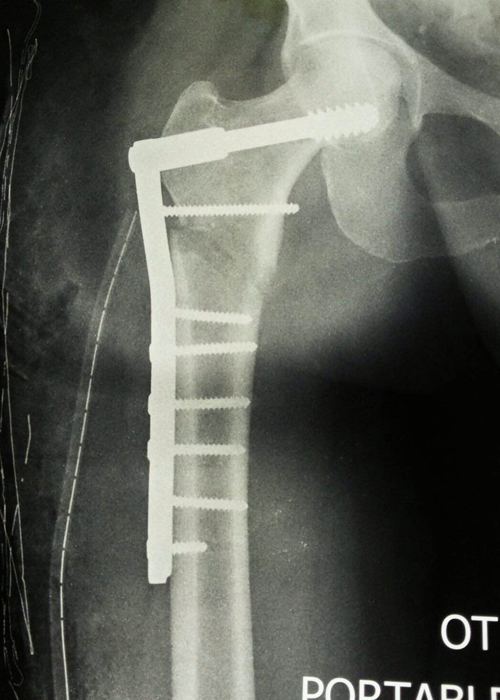 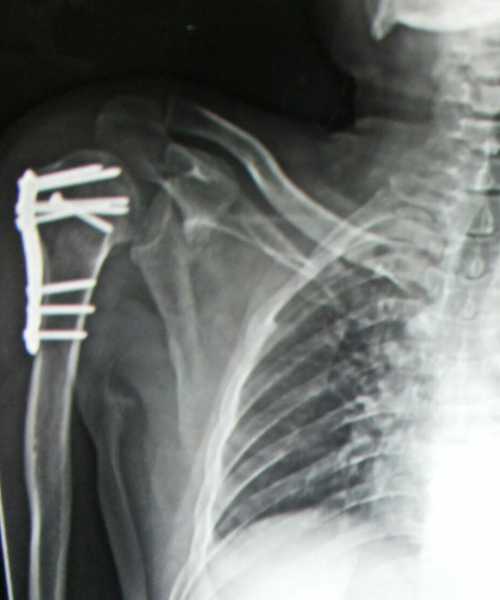 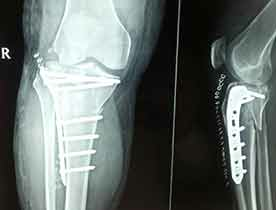 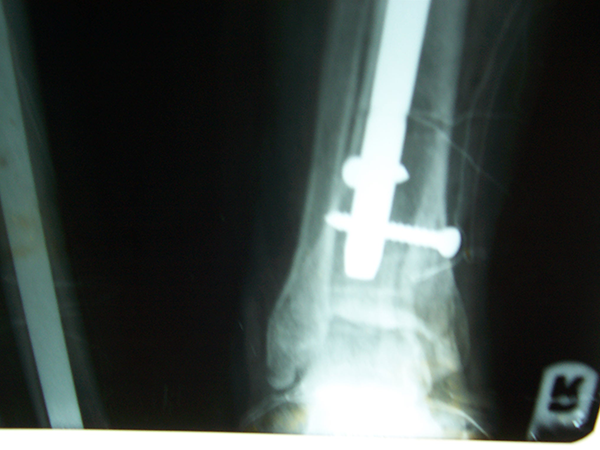 Fixation with plate & screws done. 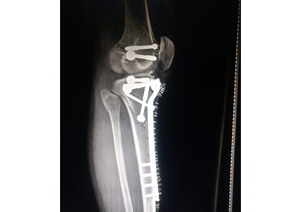 Union was seen after 6 months. 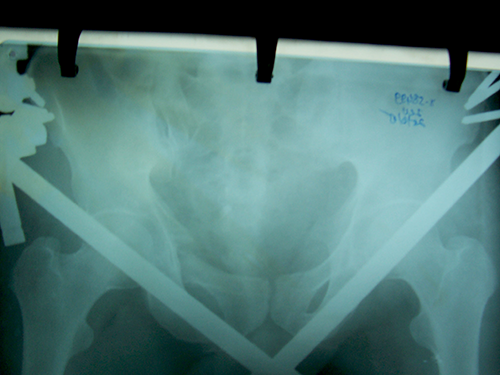 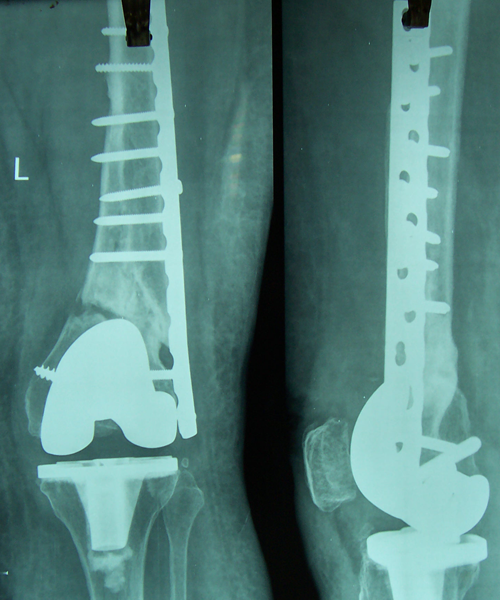 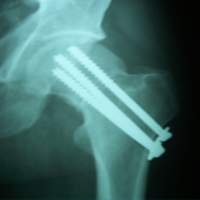 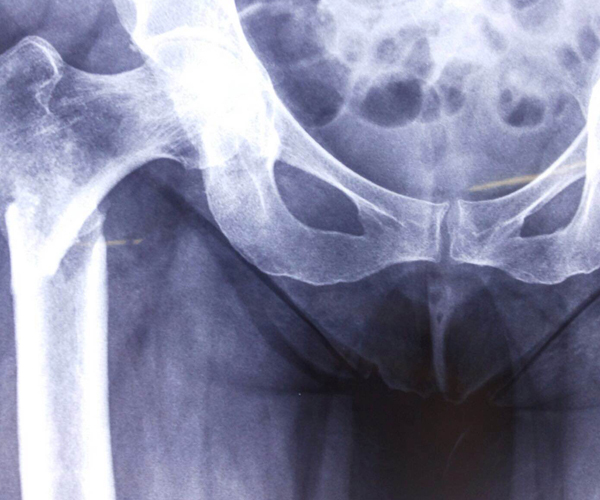 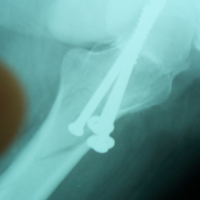 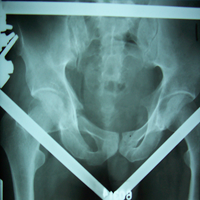 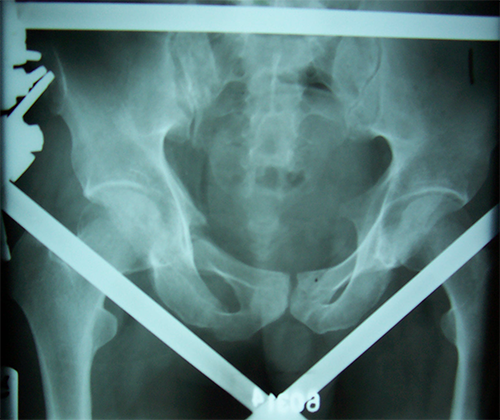 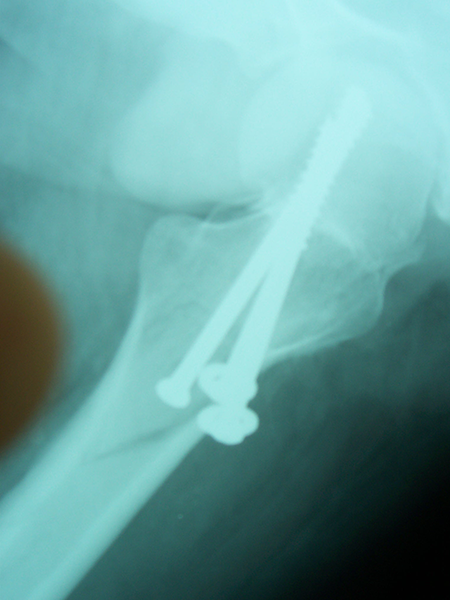 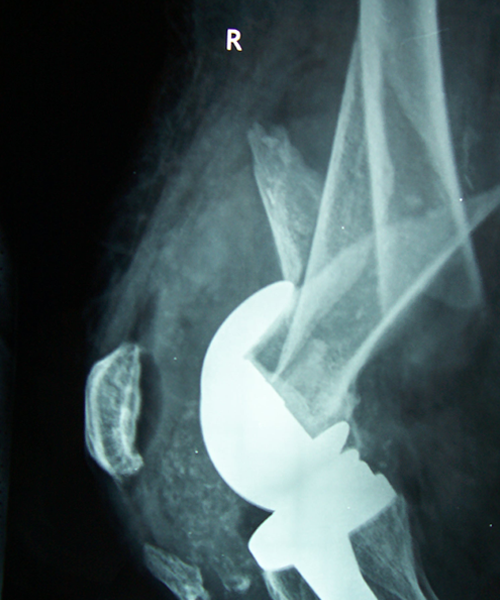 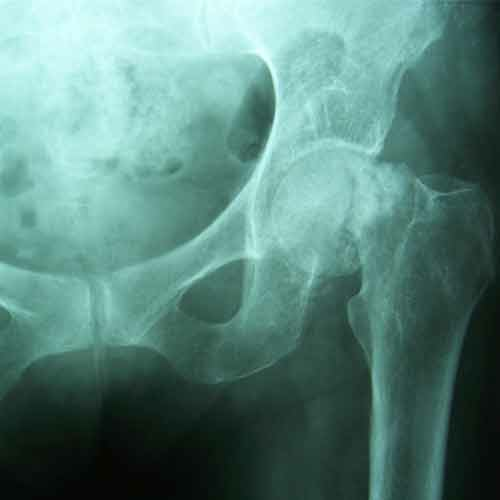 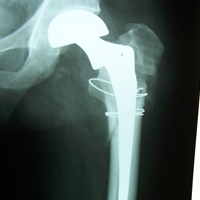 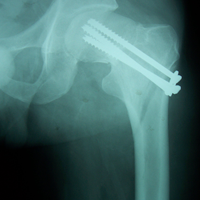 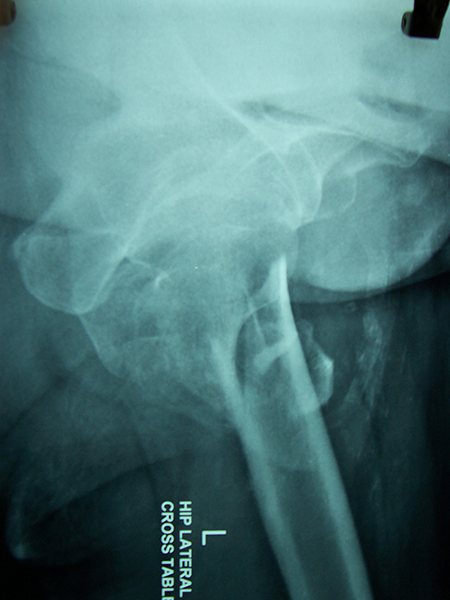 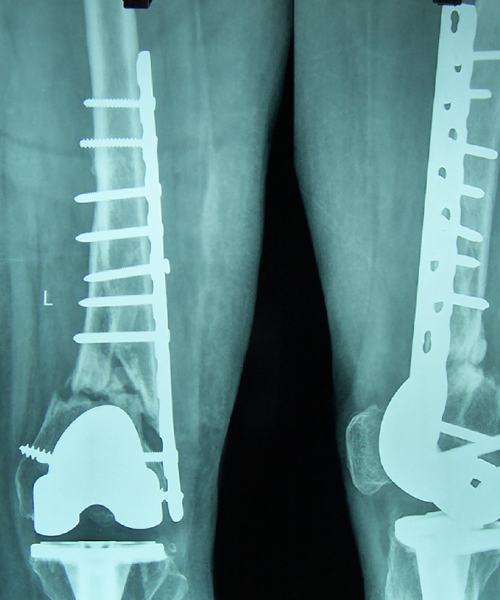 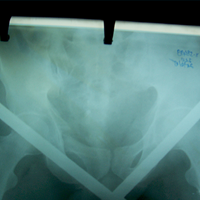 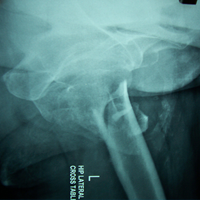 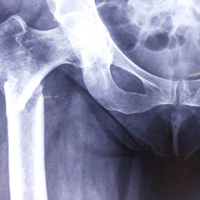 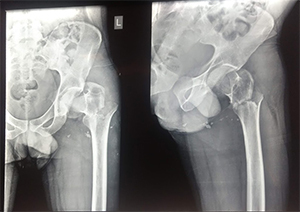 75-year-old female with comminuted Intertrochanteric fracture treated with DHS fixation. 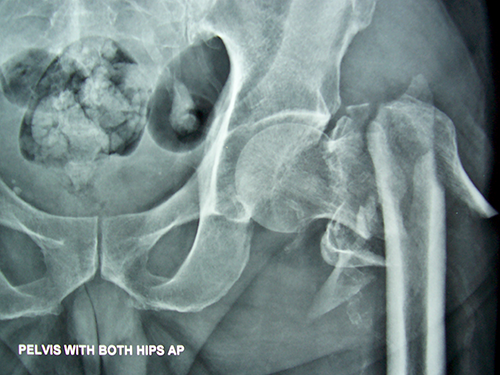 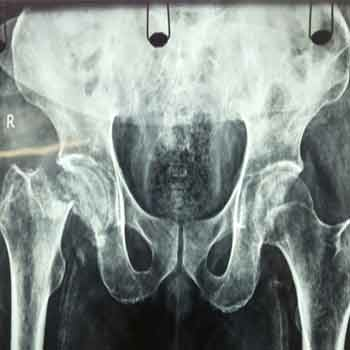 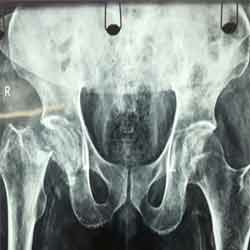 Female 42 years after two days of core depression slipped in bathroom & sustained Subtrochanteric fracture. 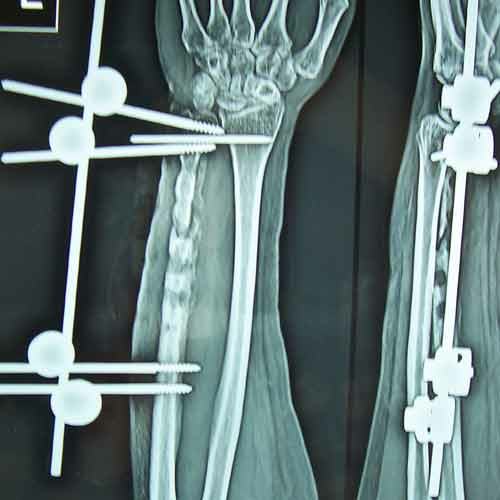 She was treated with open reduction & fixation with DCS. 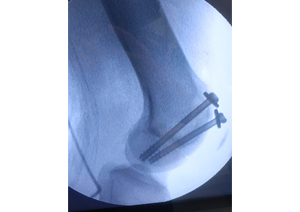 Known case of Epilepsy in 45-year-old Mason treated with open reduction & internal fixation with philos plate & locking screws bilaterally. 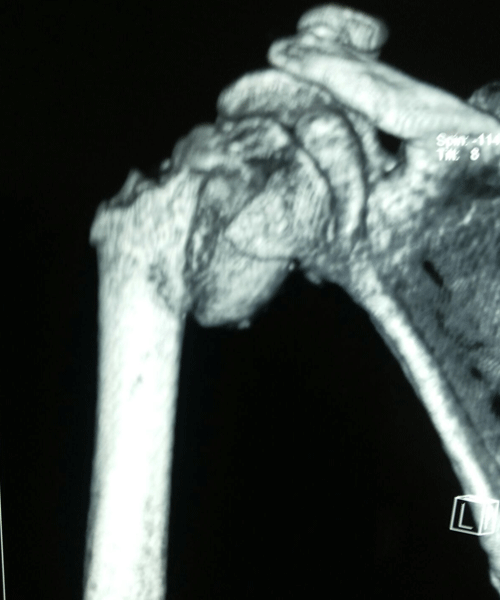 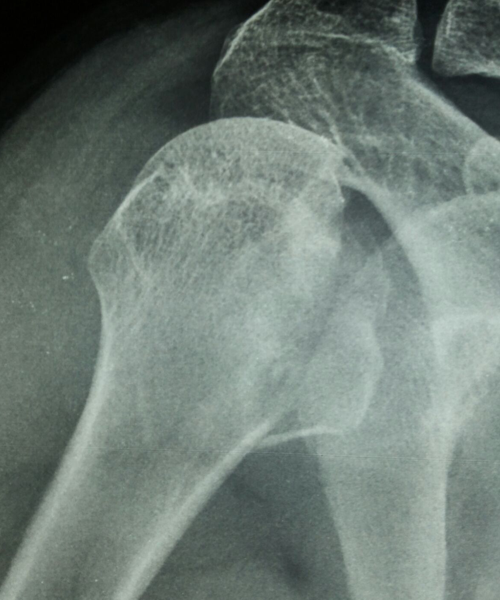 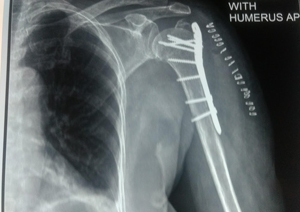 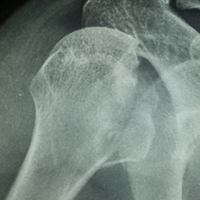 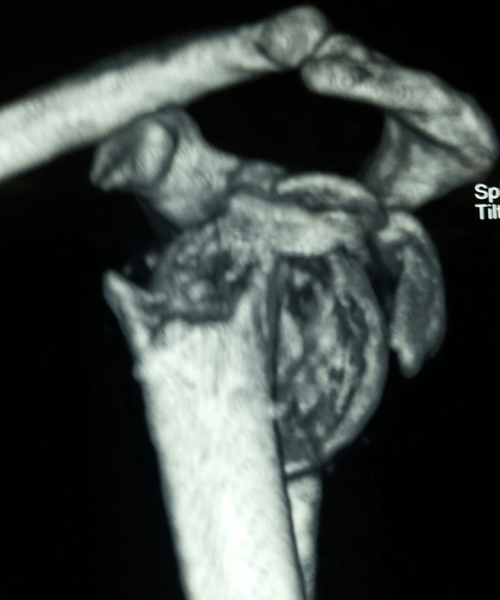 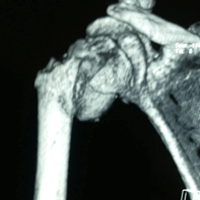 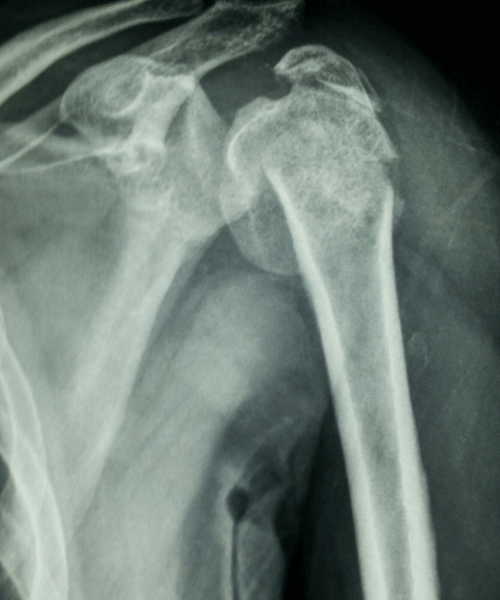 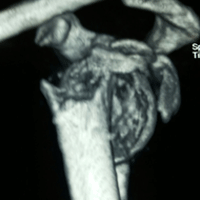 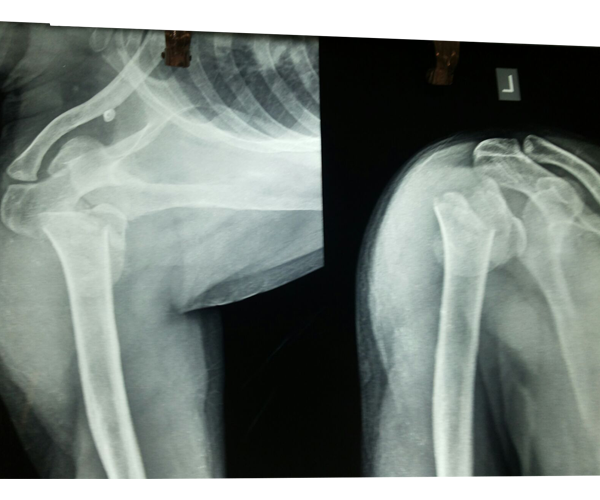 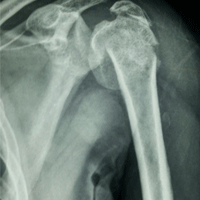 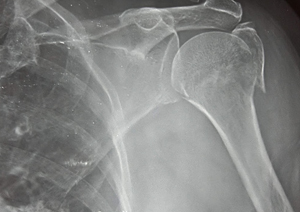 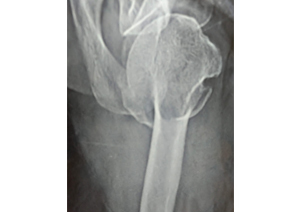 Female 65 years sustained fall in the house had displaced fracture of head of left Humerus with displaced fragment of greater tuberosity was treated with open deduction and philos plate fixation.